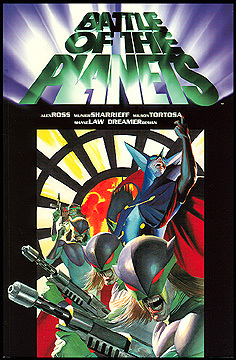 Information: This squarebound book reprinted issues 10 - 12 of the regular Battle of the Planets series comic at full-size. The Mark and Jason one-shots, the Battle of the Planets/Witchblade crossover and other covers and pin up images were also included. Art by Wilson Tortosa and Christina Chen, story by Munier Sharrieff. Full color.